South Dakota is known as the Mount Rushmore State, and it’s celebrated by both locals and tourists for its national parks and monuments. But despite its fame for large granite statues featuring deceased presidents, almost nobody associates the state with sports gambling. 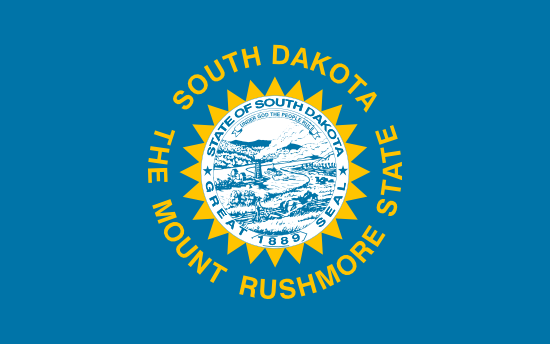 South Dakota does offer opportunities in the latter area, although bettors will need to break at least one federal law in order to participate. Of course, when did a passionate gambler ever let a little thing like the federal government get between him and a promising betting line? Please note that I am not a lawyer, nor have I ever attended law school. If you want legally binding advice regarding sports betting, I suggest consulting a professional in a suit instead of a stranger on the Internet. No matter which state you live in, the annual March Madness event is sure to get you interested in sports gambling. It assembles the 68 best men’s college basketball teams in the nation and then lets them battle it out in a single-elimination tournament bracket to determine a national champion. •	South Dakota State Jackrabbits – Prior to moving up to Division I, the Jackrabbits competed in the Division II tournament 24 times from 1959 to 2004. They compiled a record of 35-23 during that time, with a national title coming in 1963. They’ve been less impressive since facing the powerhouses of Division I, and their only two appearances resulted in second round eliminations in both 2012 and 2013. •	South Dakota Coyotes – Members of Division II for years, the Coyotes made numerous tourney appearances and advanced as far as the Elite Eight in 1993 and 1994. They’ve had a much harder time since moving to Division I in the 2008-2009 season, and as of this writing they’ve failed to qualify for the annual NCAA tournament. •	South Dakota Coyotes – Teams compete in six men’s sports and nine women’s events. Their men’s football and basketball teams have struggled at times over the years, so anyone looking for a solid betting line might want to take this into consideration. •	South Dakota State Jackrabbits – This school participates in 19 different sports, although their basketball program has traditionally been the most successful. The men’s program won the NCAA College Division II national title in 1963, while the women’s team enjoyed more recent success by winning the national title in 2003. •	Augustana Vikings – The largest private university in South Dakota, Augustana College competes in 14 varsity sports including basketball, baseball, wrestling, and football. •	Black Hills State Yellow Jackets – Situated in the Rocky Mountain Athletic Conference, this program competes in such diverse sports as football, softball, and triathlon. If you want to wager on men or women’s rodeo events, this is a college worth remembering. •	Northern State Wolves – Their program competes in 13 different sports as a member of the Northern Sun Intercollegiate Conference. Sports include fastpitch softball, swimming, basketball, football, and golf. •	SDSM&T Hardrockers – The team name refers to the school’s background in engineering and science, not a particular love for heavy metal music. The official mascot is Grubby the Miner, and he cheers on programs ranging from football and cross country to volleyball. •	Sioux Falls Cougars – Became a full-time member of the NCAA in 2012. Their football program has been especially successful in the past, producing undefeated seasons and national titles in 1996, 2006, 2008, and 2009. If you enjoy betting on obscure college athletic programs, you might want to try the National Association of Intercollegiate Athletics. Designed for smaller institutions across the nation, it’s affiliated with four athletic programs in South Dakota that include the following teams: Dakota State Trojans, Dakota Wesleyan Tigers, Mount Marty Lancers, and Presentation Saints. Face-to-face sports betting is illegal in the state by federal law, and the transmission of funds for the purposes of online wagering is prohibited by the Unlawful Internet Gambling Enforcement Act passed by the George W. Bush administration. Luckily, neither of these laws is designed to go after the player. Instead, they are meant to punish bookies both real and virtual, so you can gamble without worry at any online bookmaker who’ll accept your wager. If you can’t find an online bookie, you can always search for a local individual to take your action. These men and women aren’t difficult to find if you know where to look, and I always suggest starting at the local golf club. For those who don’t want to wager with a stranger, there’s also the option of talking a friend into making a bet. This is the most common form of gambling around the world, so you’re in good company if you decide to go this route. While South Dakota sports betting isn’t nonexistent, it’s also far from prevalent within the state. The college sports teams aren’t usually national contenders, and there’s no professional squad to rely upon. Luckily, online sportsbetting is the great equalizer. Residents of the state can hunt for the best lines from the comfort of their homes, and they’re not limited to just the sports taking place in South Dakota.